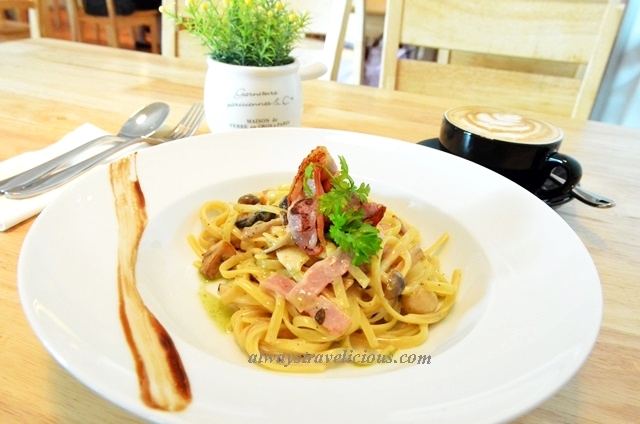 Ami Domicile Cafe @ Ipoh - Always Travelicious ! Cappuccino is alright though coffee art could have been prettier (RM 8.90). 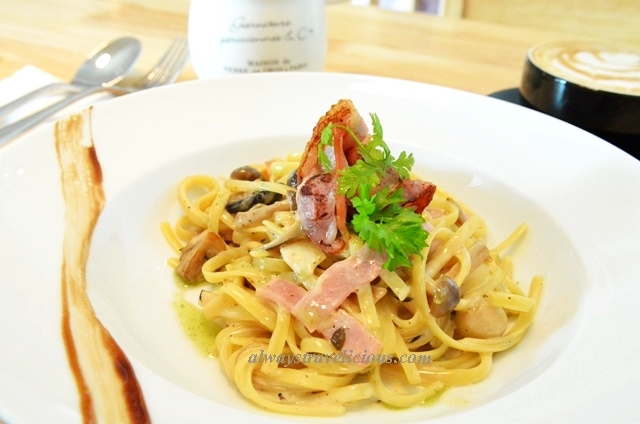 The white wine cream linguine (RM 16.90) is splendid with the scent of lightly charred bacon saying hello before anything else. The dish is well balanced with ample amounts of mushroom, ham and a pleasurable herb-based white cream with a drizzle of olive oil. Food is obviously the thing to talk about when writing a restaurant review, but today, I am also going to talk about the utensils used in Ami Domicile – heavy weight, elegant and contoured utensils – from the fork and spoon I used to eat my linguine and the tea spoon I used to stir my coffee – which refines the whole dining experience, despite the cafe’s set up being very simple. I was a bit amused when I saw these macarons – they are petite but a bit out of proportion because the fillings are even thicker than the almond meringue discs and reminds me of big macs, which is not entirely a bad thing because the rich, dark chocolate filling stood out and I was captured. 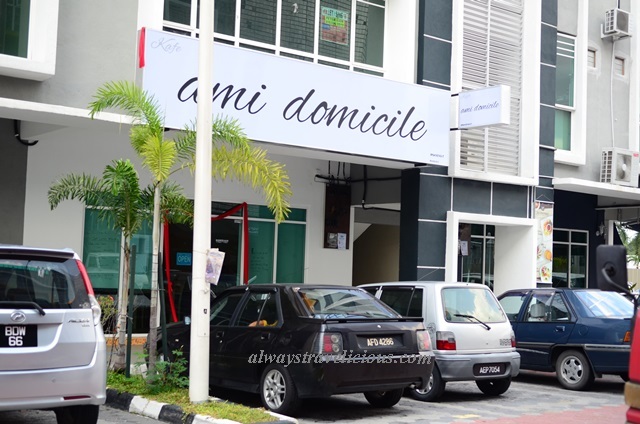 Other items on Ami Domicile’s menu include soup, salad, sandwich, pasta and main courses in the range of RM 10.90 to RM 33.90.